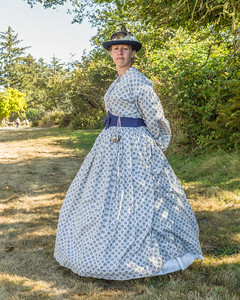 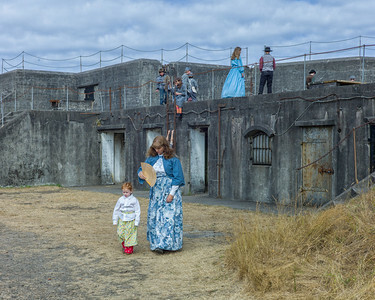 The annual Civil War Reenactment held on Labor Day weekend at Fort Stevens at the mouth of the mighty Columbia River on the Oregon Coast. 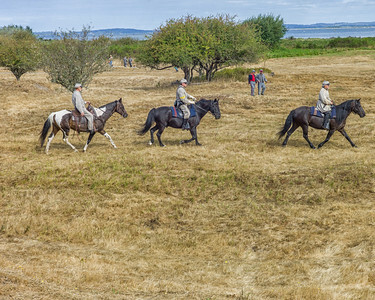 Rallying the Troops September 1st, 2012 was the 150th Anniversary of the Battle of Chantilly. 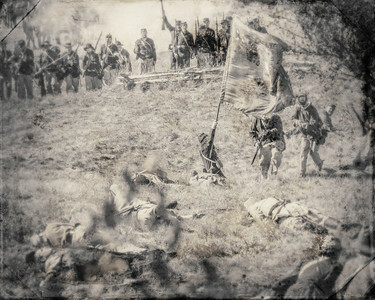 It was at this battle that Brigadier General Isaac I. Stevens was killed while rallying the Union Troops. 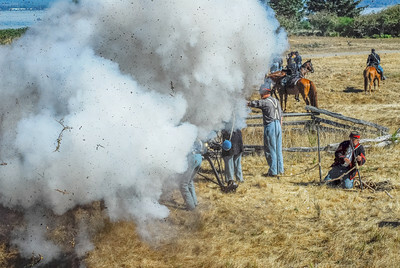 During the reenactment held at Fort Stevens (named in his honor, in Oregon the Northwest Civil War Council reenacted the Battle of Chantilly. 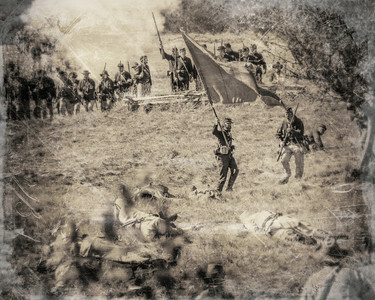 Fallen in Battle September 1st, 2012 was the 150th Anniversary of the Battle of Chantilly. 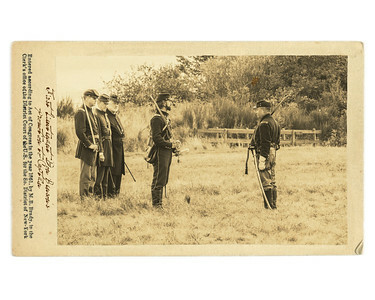 It was at this battle that Brigadier General Isaac I. Stevens was killed while rallying the Union Troops. 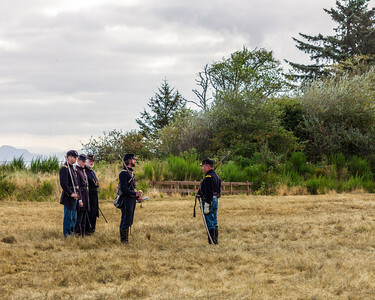 During the reenactment held at Fort Stevens (named in his honor, in Oregon the Northwest Civil War Council reenacted the Battle of Chantilly. Boom! A ground burst hits a Confederate Cannon Crew. 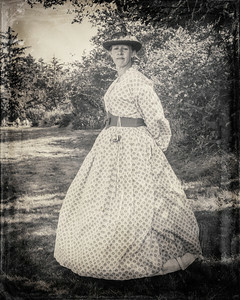 Photo by Becky Healy, post-processing by Zane Healy. Boom! A ground burst hits a Confederate Cannon Crew. 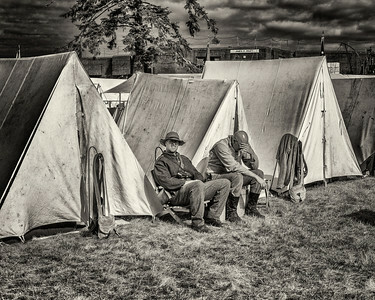 Photo by Becky Healy, post-processing by Zane Healy. 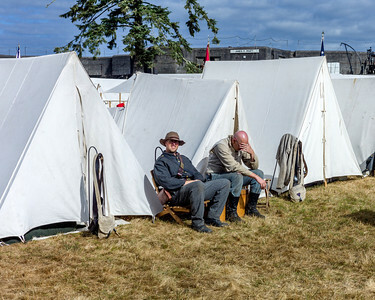 September 1st, 2012 at the Fort Stevens Civil War Reenactment. 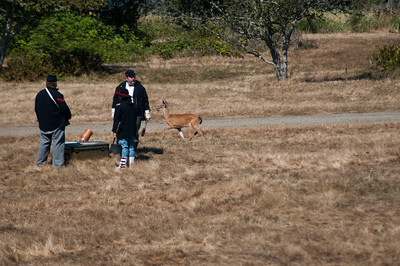 Visitor to the Battlefield This deer crossed the battlefield just before the start of the second battle on September 1st. 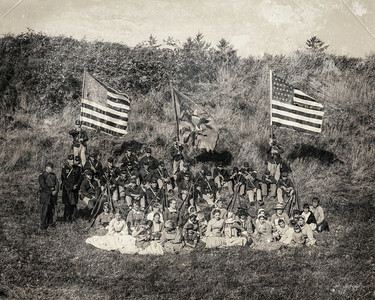 4th Regt. 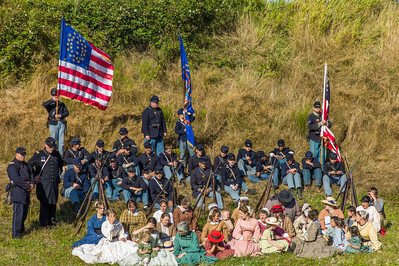 US Infantry September 1st, 2012 outside the earthworks fortification at Fort Stevens. 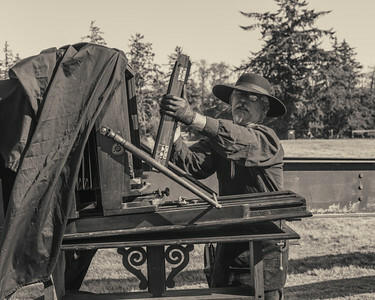 Loading the Wet Plate Dana Geraths prepares to make a Tintype of the 4th Regiment US Infantry at Fort Stevens on September 1st, 2012. 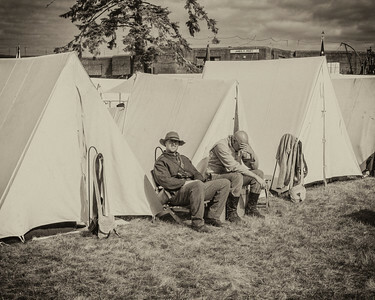 Resting Before the Coming Battle September 1st, 2012 at the Fort Stevens Civil War Reenactment. 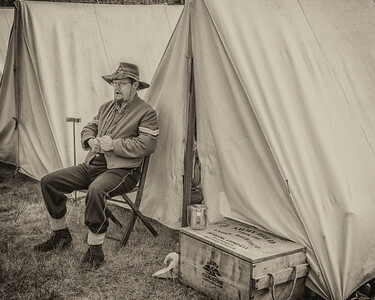 In Camp September 1st, 2012 at the Fort Stevens Civil War Reenactment. 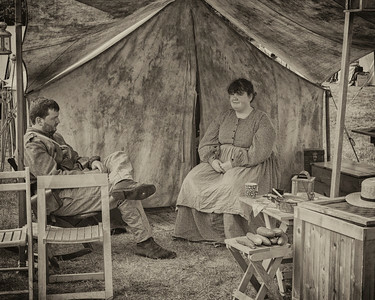 Confederate Couple September 1st, 2012 at the Fort Stevens Civil War Reenactment. 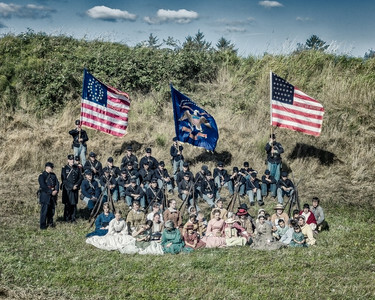 Confederate Children at Play September 1st, 2012 at the Fort Stevens Civil War Reenactment. 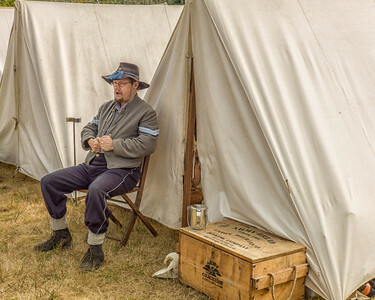 Confederate Cavalryman on the Field September 1st, 2012 at the Fort Stevens Civil War Reenactment.